Our exquisite products are dyed and printed in the United States on high end European fabric, hence it exceeds the environmental standards. We can provide our customers with a variety of hands and finishing like our famous refinarě soft hand. Because of our flexibility, custom colors and prints are also available upon request. 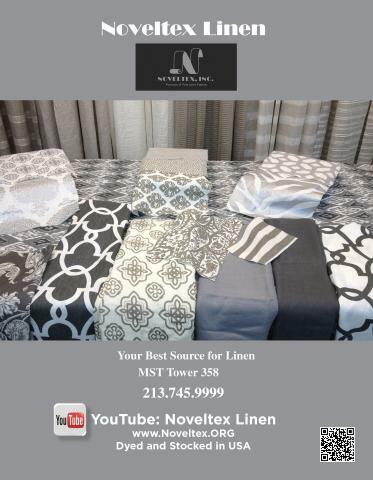 Noveltex is a Premium brand name converter of Eco- Friendly Linen with an open stock program of dyed and printed linen. Our exquisite line of trims and tassels have been specially designed to color coordinate with our prints and solid linens.